Home » News » What Is An ACV? Bristol Rovers supporters might be interested in this ACV detail. Community Right to Bid was introduced under the Localism Act 2011. The Act requires local authorities to maintain and publish the lists of assets of community value which have been nominated by the local community. The lists will be for both the successful and unsuccessful nominations and each asset will stay on the list for a period of 5 years. Owner notice of intent to sell. When successfully nominated assets come up for sale, the Act then gives community interest groups the time to submit a request to the local authority to be considered as a bidder, and time to develop a business case and secure funding to support the bid to put the asset on the open market. Interim moratorium period – This is a six week period from the date the Council accepted receipt of the owner’s notice of intent to dispose of the asset on the open market. During this period eligible community interest groups can express an interest in being considered as a potential bidder by sending in a written request to the Council. Full moratorium period – This is a six month period from the date the Council accepted receipt of the owner’s notice of intent to dispose of the asset on the open market. It will only apply if an eligible community interest group sends in a written request to express be considered as a potential bidder. After the moratorium period – either the six weeks if there has been no community interest, or the full 6 months – the owner will be free to dispose of the property to whomever they choose and at whatever price, and no further moratorium will apply for an 18 month protected period. The owner does not have to sell the asset to a community group. Nominated by:- The Bishopston Society. Nomination Date:- Nomination form received 17/09/2015. Current status of the asset listed for community value. End of interim moratorium period:- 25/01/2016. End of full six month moratorium period:- 14/06/2016. End of 18 month protected period:- 14/06/2017. The Vassall Centre and its grounds Gill Avenue Fishponds Bristol BS16 2QQ. Scout hut and land Balfour Road Bristol BS8 2NT. Lynmouth Road Allotments Mina Road St Werburghs Bristol. Bull Inn 333 Crews Hole Road St George Bristol BS5 8BQ. The Brigade Centre Chessel Street Bedminster Bristol BS3 3DN. The Greenbank Hotel 57 Belle View Road Easton Bristol BS5 6DP. The Chequers Public House, Lodge Road, Kingswood, Bristol BS15 IJA. 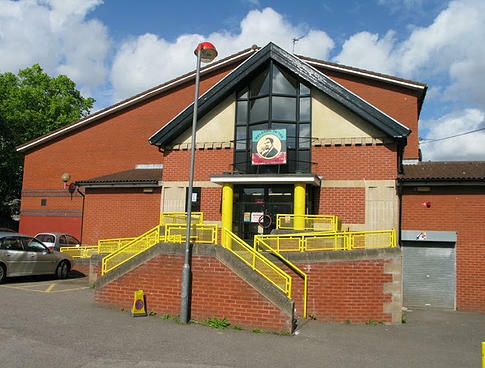 Lawrence Weston Youth Club, Long Cross, Lawrence Weston, Bristol BS11 0RX. Southville Methodist Church, Stackpool Road, Southville, Bristol BS3 1NW. The Cameron Centre and grounds, Cameron Walk, Lockleaze, Bristol BS7 9XB. Ashton Gate Stadium, Ashton Road, Ashton Gate, Bristol BS3 2EJ. Fairfield School Playing Field Recreation Ground Muller Road Eastville Bristol. Malcolm X Centre 141 City Road St Pauls Bristol BS2 8YH. Windmill Hill City Farm Philip Street Bedminster Bristol BS3 3EA. Kings Head Public House Whitehall Road St George Bristol BS5 7BH. Beaufort Arms Public House 23 High Street Clifton Bristol BS8 2YF. The Memorial Stadium Filton Avenue Horfield Bristol BS7 0BF. The Imp Public House 2 Alpha Road Southville Bristol BS3 IDH.